Arthritis is the most frequent cause of disability in adults, but you can significantly relieve your inflammation and pain and heal your joints with regenerative medicine. 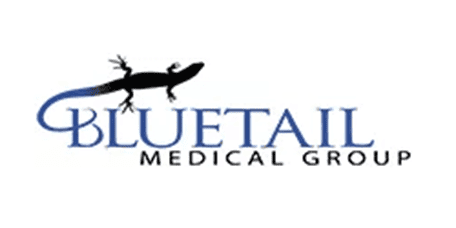 The physicians at Bluetail Medical Group specialize in treating arthritis using cutting-edge regenerative treatments such as platelet-rich plasma and stem cell therapy. To learn more about how regenerative medicine can improve your arthritis, book an appointment online, call the office in Naples, Florida, or contact one of the locations in Chesterfield or Columbia, Missouri. Osteoarthritis, the most common type of arthritis, develops over time from daily wear-and-tear that stresses your joints and breaks down cartilage. Cartilage cushions the ends of bones and allows them to move freely. As cartilage wears away, bones begin to rub against one another, causing classic arthritis symptoms. Rheumatoid arthritis (RA) is caused by an autoimmune disorder in which your immune system attacks your joints and causes inflammation and swelling. Left untreated, inflammation that originates in your joints spreads to other parts of your body. Joint injuries cause about 12% of all cases of arthritis. Post-traumatic arthritis may also occur when a fractured bone outside the joint is forced into the joint and damages the cartilage. Cartilage degeneration is accelerated by the injury, progressing faster than age-related osteoarthritis. In all three types of arthritis, you’ll experience joint pain, stiffness, limited motion, and inflammation. Rheumatoid arthritis also has distinct symptoms, including swollen joints, fatigue, and fever. Over time, inflammation from rheumatoid arthritis destroys cartilage and bones, which leads to joint deformity. Platelet-Rich Plasma (PRP) Therapy: PRP takes advantage of the platelets naturally found in your blood, which contain vital proteins called growth factors. Growth factors migrate to damaged tissues where they reduce inflammation and trigger the growth of new cells to replace damaged tissues. Your physician creates PRP in the office using your blood; then they inject it -- alone or with stem cells -- directly into the joint. Stem Cell Therapy: Stem cells have the innate ability to continuously replicate themselves then develop into every type of cell your body needs to build tissues. Adult stem cells keep you healthy by regenerating cells to replace old, injured, and diseased tissue. Your doctor extracts your adult stem cells from bone marrow in your hip, then injects them -- alone or with PRP -- into the damaged joint. Prolotherapy: Your doctor may also recommend prolotherapy for osteoarthritis, injecting your joint with a solution of dextrose, saline, and other substances. That triggers the healing process and draws growth factors to the area. For relief from the pain and stiffness of arthritis, call Bluetail Medical Group or book an appointment online.